Inspiring ecstasy and religious veneration, yet sparking international discord and even war, opium ranks among the most influential plants in the world. 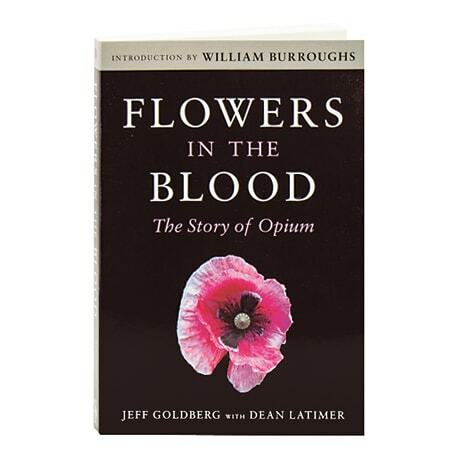 Surveying the use and misuse of the potent poppy, Jeff Goldberg and Dean Latimer take us from ancient Crete—where a goddess of opium was worshipped—to early 19th-century England, where the drug was praised in print by Thomas de Quincey and Samuel Taylor Coleridge. Also discussed here are China's Opium Wars, the unique role played by Chinese opium in the birth of the American labor movement, and the reasons why law enforcement officials are unable to curtail the flow of opioids into the United States. An authority if there ever was one, William Burroughs wrote the introduction, "God's Own Medicine."